Space Theatre, Wed 13 Jun. Mikelangelo is a handsome, charming host and with his Elvis hairstyle – frequently combed throughout the show – and shining white jacket, he’s a very believable Elvis ‘impersonator’…though he would say “replacement”. He tells us the story of how he became ‘The Balkan Elvis’, smitten by Elvis’s music as a small boy, under the influence of a rather dodgy-sounding nanny, and later, as a young man, escaping war-torn Czechoslovakia (he hadn’t heard that the country had split) to take his place on the world stage. The narrative stitches together famous Elvis songs, with humour and panache, the songs themselves being played as polkas, waltzes and in some timings I have never heard before, a kind of Balkan Reggae rhythm (sorry, not too familiar with Eastern Bloc Rock music). The band, The Zagreb Allstars, led by Musical Co-Director Dave Evans on accordion, managed the – I strongly suspect – very unfamiliar rhythms and lead lines well. The brass section of sax and trumpet (sorry, we weren’t given full names of the band) were enjoying themselves immensely, and also singing some back-up. Completed by double bass and drums, The Allstars made sense of the craziness of the musical mish-mash. Mikelangelo has a lovely voice, which he says is just like Elvis’s, only “two octaves lower and in a different key”. He certainly manages to affect Elvis’s rounded style in rich tones and covered a lot of hits, although they were barely recognisable. A favourite was the very funny Viva Debrovnik (Viva Las Vegas) which introduced Ruby Datura, the Tribal Belly Dancing troupe who were a welcome addition to the show just when it was getting a bit ‘samey’. The dancing girls later came into the audience getting the majority up dancing with Mikelangelo for the very party-like finale. The demographic was definitely Baby Boomers, who know Elvis Presley’s music, and had the knowledge necessary to get a lot of the humour in this show. Mikelangelo’s singing style is fairly laid back and comfortable, and I would have liked to hear him give his everything to just one song, as Elvis did to all of them. The audience enjoyed it and it’s a fun, novelty show. 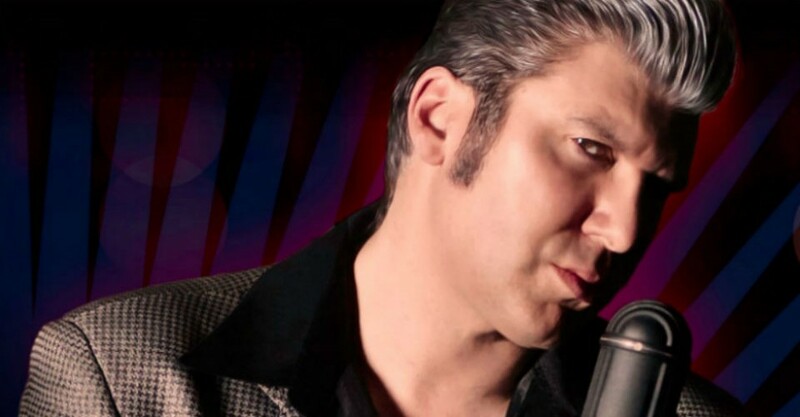 Eastern Bloc Rock – Mikelangelo As The Balkan Elvis continues at Space Theatre, Adelaide Festival Centre, from 6.30pm until Thu 14 Jun. Famous Elvis songs performed with humour and panache.